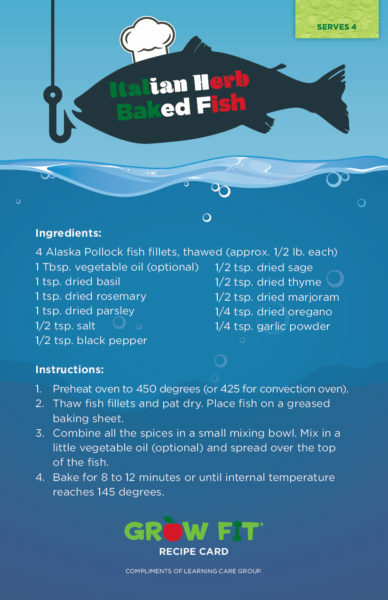 With so many yummy spices, this pollock recipe isn’t just super flavorful, it’s also easy to make and packed with protein and healthy omega-3 fatty acids! Click the image below to view the printable PDF. For more healthy recipes for the whole family, be sure to check out our recipes tab here.